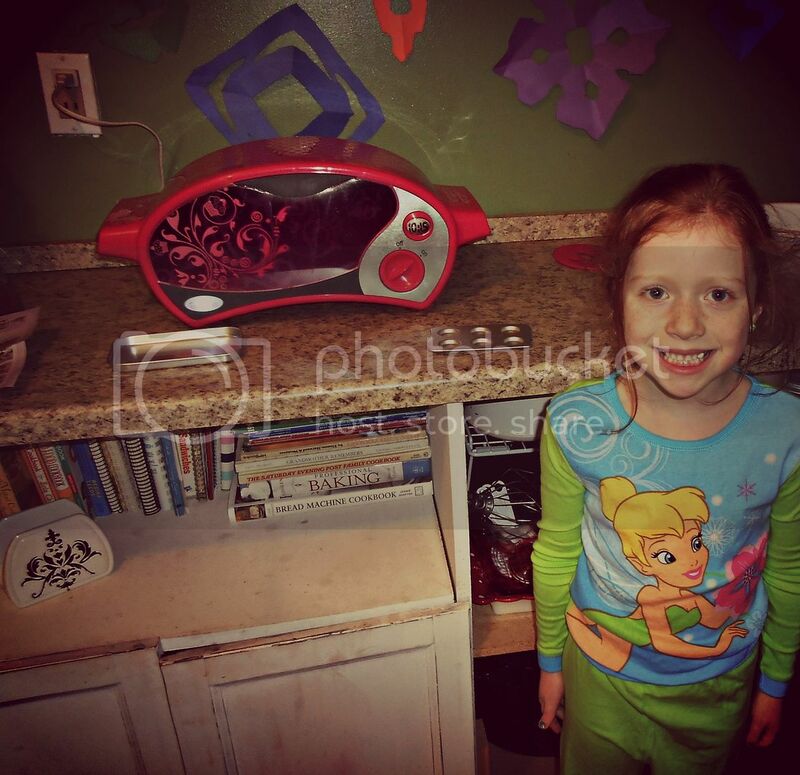 Miss Priss got an Easy Bake Oven for Christmas. I remember having one of these when I was her age. I remember creating little cakes for my Mom. We would add sprinkles and share the little treats together. It has been such a blast doing the same thing now with my little munchkin. She is a little baker, apron and all. She is doing it "all by herself" and totally rockin it! Love that red head of mine. Has anyone tried using store bought cake mix for the oven? I read HERE you can use 3 tbl of any cake mix and 1 tbl of milk. Has anyone tried this or have any tips on making your own mixes at home? You know me I'd rather do it myself, with what I have on hand, if I can. So fun! I remember having one too. That's a pretty fancy Easy Bake. My how times have changed. I don't know about using our own cake mix, but it couldn't hurt to try. I didn't have one, but my girls did. Those mixes can pretty pricy. Have fun! Fun! The price of mixes have prevented me from buying one for Megan. Let me know if you try making your own mixes or doctoring a store bought. I also remember those packets being pricey too, hope you find an alternative. Wow, my Easy Bake oven looked nothing like the new ones, obviously. Love the pink color! You can use the Jiffy mixes in the easy bake oven thats what my daughter uses because I refuse to pay for the easy bake mixes, the Jiffy Mixes are SO much cheaper and taste alot better. So cute. Man that is one jazzy oven. I had one when I was a kid but it was boring :) I wish I had thought to look up homemade recipes for it. I stopped using it when I ran out of mixes. When I was a kid and got an easy bake oven(about 35 years ago!) The oven came with a small recipe book for all sorts of things you could make in it. My Mom refused to pay high prices for the mixes, so we had to use our imagination to come up with other ideas of things to make in it. A jiffy cake mix made according to the directions on the back of the box made about 8 easy bake oven cakes. I would ice them and put sprinkles or whatever we had on hand to decorate them. I also made peanut butter cookies, just make sure you mash them flat with a fork before you put them in the oven, I made hot dogs, cut up in little round pieces, pizzas using an english muffin for the crust,and cheese quesadillas,just cut the flour tortillas so that they fit in the pan. The main thing is to just have fun with it! 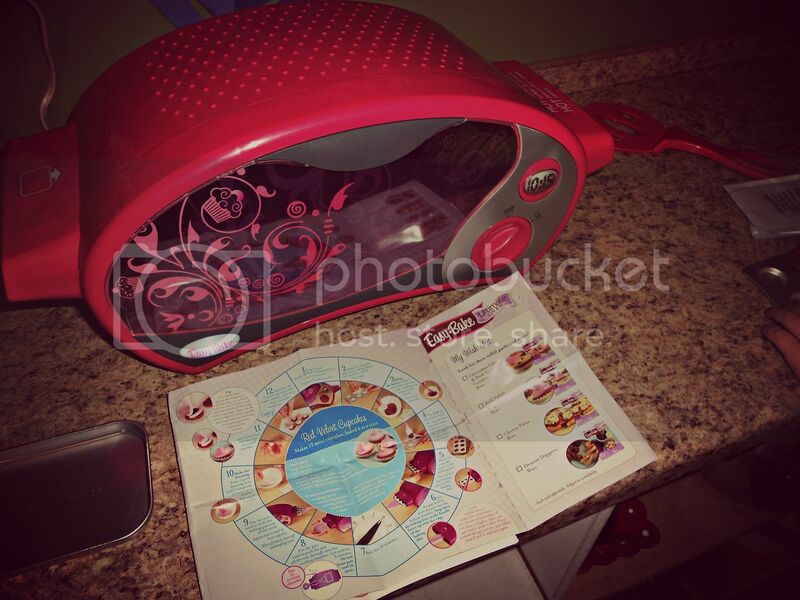 The Easy Bake Oven was my favorite childhood Christmas gift! I still remember making my little cakes. Those were the days. Check this site out for recipe mixes for it, and a ton of other great things too! 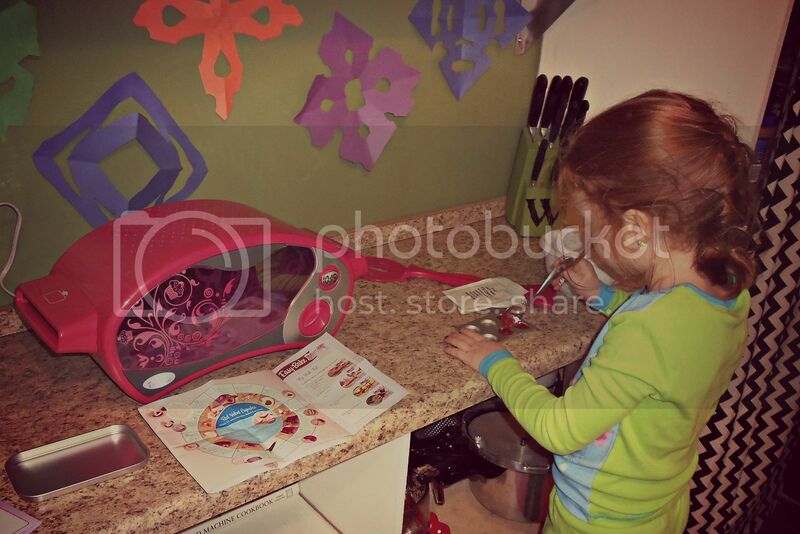 My daughter has an easy bake oven. Because she has nut allergies and cannot use the Easy Bake oven packs, we only have used boxed cake mixes. We use the 3 to 1 ratio you mentioned. We have yet to try the one mug recipes for cakes and cookies I found on Pinterest, but that will be next.